There is no such thing as a sterile barn cat. No one ever notices how you ride until you fall off. The least useful horse in you barn will eat the most, require shoes every four weeks and need the vet at least once a month. A horse’s misbehavior will be in direct proportion to the number of people who are watching. Your favorite tack always gets chewed on, and your new blanket gets torn. Tack you hate will never wear out and blankets you hate cannot be destroyed. Horses you hate cannot be sold and will out live you. Clipper blades will become dull when your horse is half clipped. If you approach within fifty feet of your barn in clean clothes, you will get dirty. 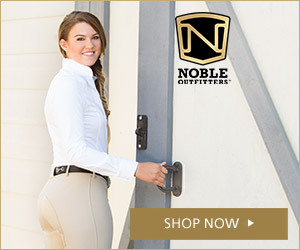 The number of horses you own will increase to the number of stalls in your barn. Your barn will fall down without baling twine. Hoof picks always run away from home. If you fall off, you will land on the site of your most recent injury. If you are winning, then quit, becayse there is only one way to go. Down! This is great! Do you mind if I re-blog it?